Results from The Great Brain Experiment, a smartphone app developed by White Bat Games, are continuing to help scientists shed light on how our brain works, and how it changes as we age. A new paper has been published which uses results from the ‘How Much Can I Remember?’ task. The good news, in case you were wondering, is that it’s not just a case of steady decline. While our ability to block out distractions reduces as we age, the type of distraction makes a big difference to how well older people were able to ignore it. Great Brain Experiment reaches 100,000 players! 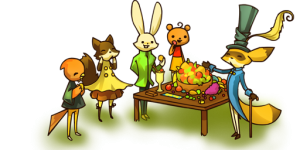 In recent months, the number of people who have played The Great Brain Experiment has reached 100,000! This is a huge amount for our little experiment, and is many more than we expected to participate, back when the project was just in the planning stages. Everyone is very pleased at the number of people who’ve chosen to help our experiment. UCL have released a video explaining the how the Great Brain Experiment has changed the way they perform neuroscience experiments. Compared to experiements being run in a lab, The Great Brain Experiment allows them to collect data from many more people. With enough people, it allows them to examine differences between groups of different ages or backgrounds. This is very important and will allow them to more easily discover how we behave and think! Also, this article in the Independent newspaper in the UK explores the happiness equation research paper released last month. Another paper based on the experimental results of the White Bat Games developed Great Brain Experiment app has been released. 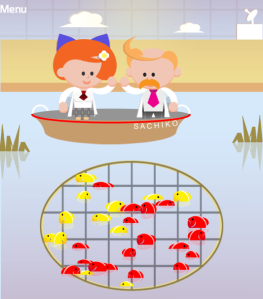 Based on the ‘What Makes me Happy?’ game from the app, the paper describes an equation for happiness which can predict how 18,420 of the participants in the game will rate their happiness during and after playing the game. In summary, the idea is that the player’s happiness is not based purely on how well they score, but is more influenced by whether their performance outperformed or under-performed their expectations. So if things are going better than expected, you will be happy! 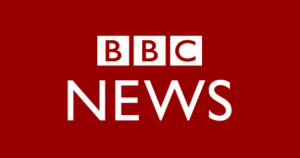 This was reported on BBC News, and you can read the news report here. You can also read the UCL Press Release and download the paper here. The Great Brain Experiment is a cognitive science experiment disguised as a video game. While 60,000 people are playing games testing their visual acuity and memory, their performance is being sent to scientists at The Wellcome Trust and UCL where they are contributing to a huge science experiment. The BBC’s Science In Action programme, broadcast on the World Service, featured interviews with two of the scientists involved with the game, Dr Peter Zeidman and Dr Fiona McNab, in their programme this week. In the programme, they discuss how smartphone games can provide data accurate enough for scientific research, despite the many distractions present when the game is being played. They also talk about how the data collected could help us understand how the brain is affected by conditions such as ADHD and dementia, informing those developing treatments for the conditions. 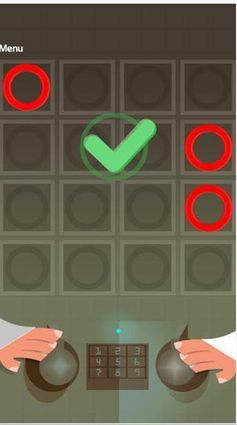 The White Bat Games developed title The Great Brain Experiment, has grown to become one of the largest cognitive science experiments ever conducted since the game was made available to the public in March 2013. Now, the first two scientific papers based on data collected by the app’s 60,000 players has been published. The second paper looks at the results from one of the first four games in the app, ‘How Much Can I Remember?’. It compares results from The Great Brain Experiment, taken from the large sample of app users, with a smaller study conducted under lab conditions. The study looks at how people’s working memory is affected by the presence of distracting elements at various points during a memory test. Other papers are being worked on based on the game’s experimental results, so this is far from the last set of discoveries to be made from the tens of thousands of people having fun with the games. Keep playing, and you could be a part of the next set of discoveries! Fruit Frenzy now Free on Android! If you’ve got an Android device, it’s your lucky day! Fruit Frenzy is now free to download and play. This was White Bat Games’ first title, and it’s an addictive action puzzle game where you must match together fruits to score points. There’s a frantic arcade mode, as well as a more thoughtful puzzle mode. The game has enjoyed critical acclaim and has many players on iOS, so give it a try. We’ve just updated Fruit Frenzy on the iOS App Store! New to this version, you can compare your scores with other players using the leaderboards feature of Apple’s Game Center. You can also earn achievements in the game. This release also fixes problems some users were having playing the game on iPad. If you haven’t played Fruit Frenzy yet, Check it out! 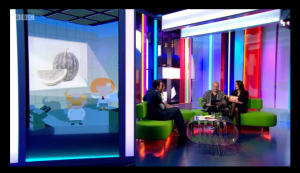 Tonight, The Great Brain Experiment was shown on BBC1′s daily magazine programme The One Show. It was played on the show by the one and only Terry Gilliam, one of my personal heroes! He played the game ‘How Much do I see?’ and did very well, except for one question where he was distracted by one of the presenters. I’ve already forgiven him for that! We’re hoping the publicity will help more people find out about the game and contribute to this unique science experiment. You can watch the section on iPlayer here. The show is available for the next 7 days if you live in the UK. The Great Brain Experiment is covered at 7 minutes 50 seconds into the show. Great Brain Experiment does a Reddit AMA! The neuroscientists behind the curtain in Great Brain Experiment have done an AMA on Reddit. In case you’re not a regular, Reddit is a community site which hosts regular ‘Ask Me Anything’ sessions where interesting people answer interesting questions from the community. Previous participants include Bill Gates and Barack Obama! In this case, the neuroscientists behind the Great Brain Experiment answered questions on everything from whether the data can be relied on, to whether being a neuroscientist helps you become popular at parties. Huge new update for Great Brain Experiment brings new games and more! Today we’ve launched a new update to The Great Brain Experiment which adds four new games to the app, bringing the total to eight. Each of these games is a fun time-waster whilst also providing valuable data for neuroscience research on how the brain works. The original four games are still available too. The game now shows how you compare to other players on the main menu so you can see how you match up, and if your score is particularly interesting, the neuroscientists will be inviting you to participate in further research using the game’s messaging system. Great Brain Experiment doesn’t identify you so it remains completely anonymous at all times. 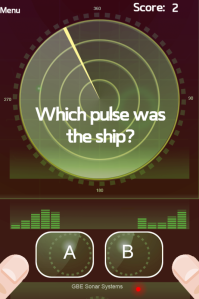 In ‘How much do I hear?’ you’ll be controlling a radar dish looking for ships on the ocean by listening for a specific sound amongst a noisy background. In ‘Am I a risk-taker?’ you’ll be playing a card game, deciding whether to pay to turn over each card in order to work out which of two rows of cards is the winning side. In ‘How do I deal with pressure?’ you’ll be betting on whether you can knock a coconut off a robot’s head without missing. In ‘Can I predict the future?’ You’ll go fishing, gaining points for predicting what the following day’s catch will be based on what you’ve seen. The update is live on iOS and Android right now, and available for free. White Bat Games is a media software developer that produces games and other interactive entertainment software.